Wondering what to do with your jack-o’-lanterns and decorative pumpkins after the Halloween festivities are over? 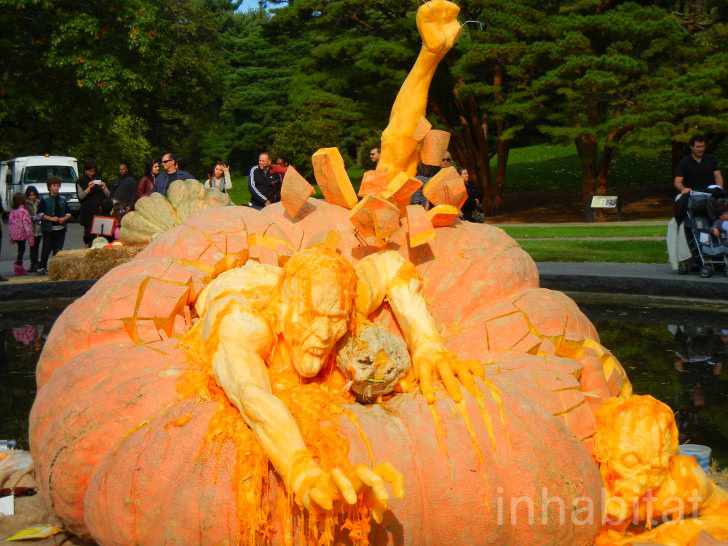 Bring them to the 2015 Pumpkin Smash! Hosted by the NYC Compost Project, this post-Halloween event invites you to relieve some stress by smashing your gourds, so that they can be composted locally afterwards. This year’s event will take place at various locations in NYC. Read on for the full schedule.